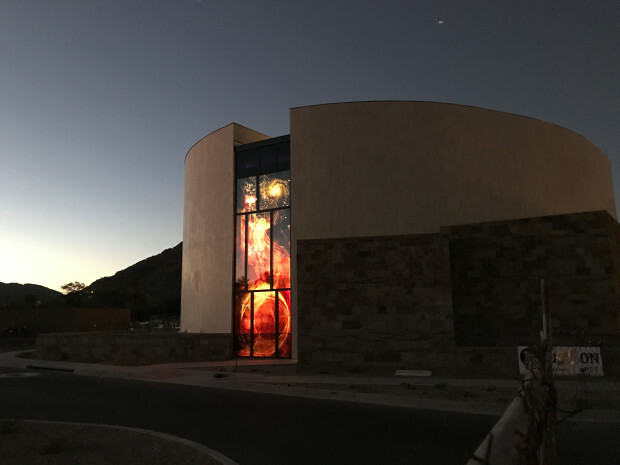 The Franciscan Renewal Center commissioned Scott Parsons to design nine windows for their newly build church 'Our Lady of the Angels'. The windows vary in size: Some rise up to 30 ft. in height, some reach 30 ft. in length. Together they sum up to roughly 280 sq.ft. 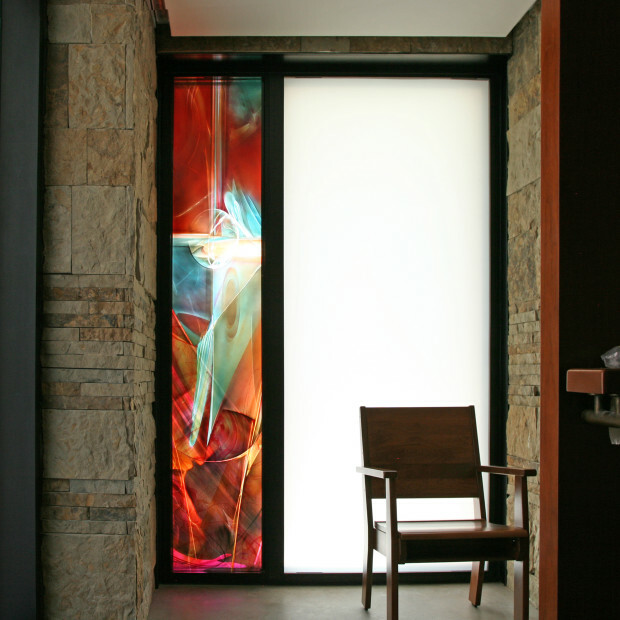 of art glass: Hand-blown antique glass, artistically refined and laminated to tempered safety glass. 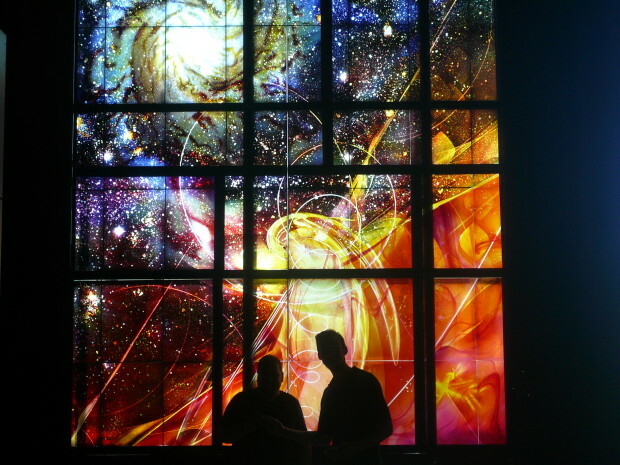 For his design, Parsons chose the Canticle of Creation by Saint Francis as an inspiration. Each window represents a certain stanza. Together, Parsons said, they invite the viewer into the process and grace of renewal. There was a very close working relationship between the artisans of Derix Glasstudios and Scott Parsons as it was crucial for the artisans to understand Scott's design intent in their interpretation of his work. Previous collaborations had already established a relationship of trust between artist and the artisans which was cultivated further through constant communication throughout the fabrication process. Hand-blown glass was acid etched in multiple layers. 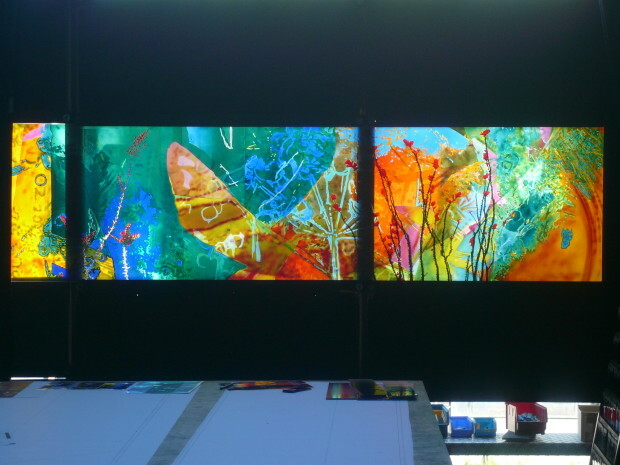 The generous brush strokes on glass are created by hand painting different vitreous enamels in various layers. 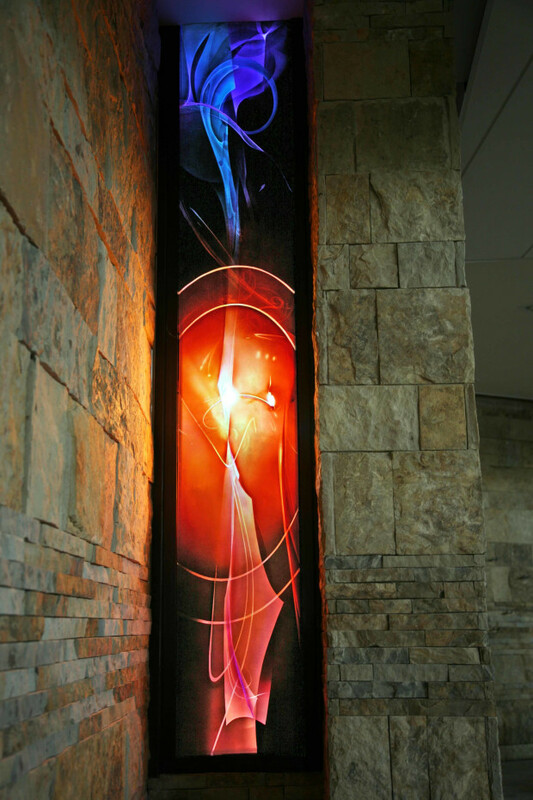 Several layers of airbrushing glass enamels achieve the effect of colors melting into each other. 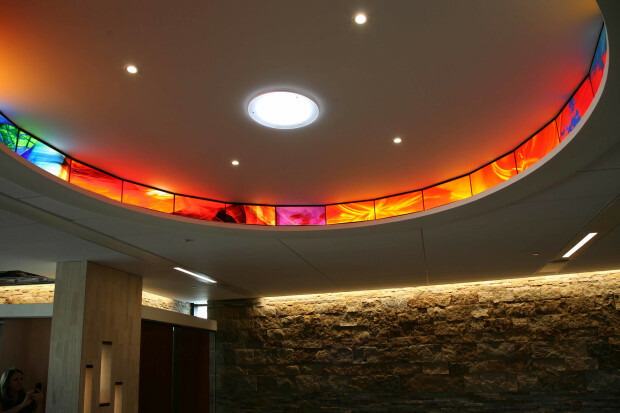 All hand blown glass pieces have been laminated evenly onto tempered safety glass.